>42 works, mostly color. Plates printed on one side only. Book is >11″ tall. A short review for a art book. 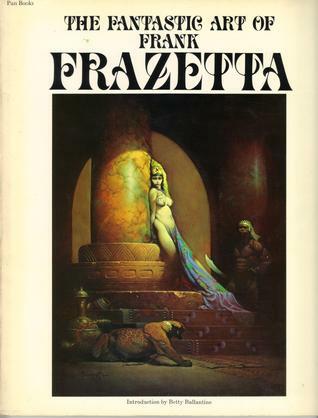 Frank Franzetta’s artwork is incredibly iconic in the Fantasy genre. In particular his work painting the covers of the Tarzan books are memorable. Chances are if you’ve seen his art before you recognize his unique, sensual style. This book is a gallery of some of his work.